U.S. Patent 7,059,055. Other patents pending. 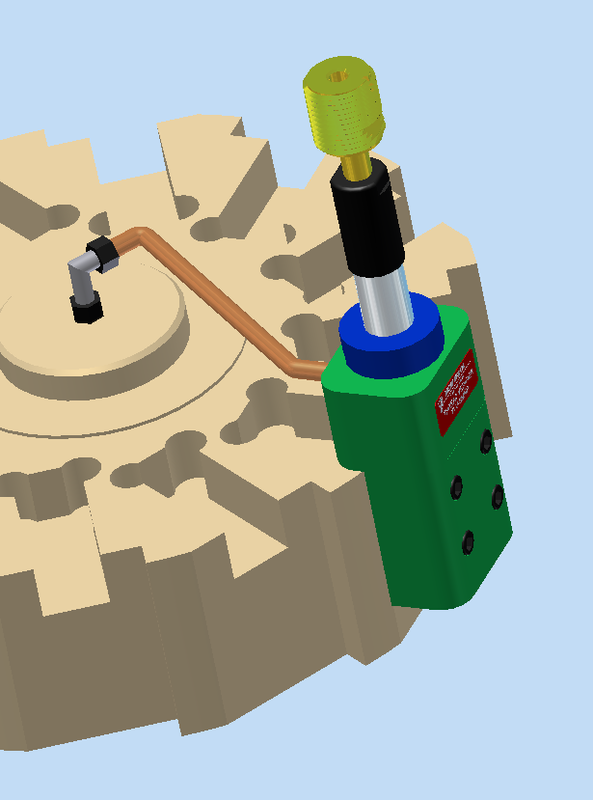 Mounts in a tooling station or tailstock in a CNC lathe or screw machine. Rotary power and advance are provided by the machine tool. 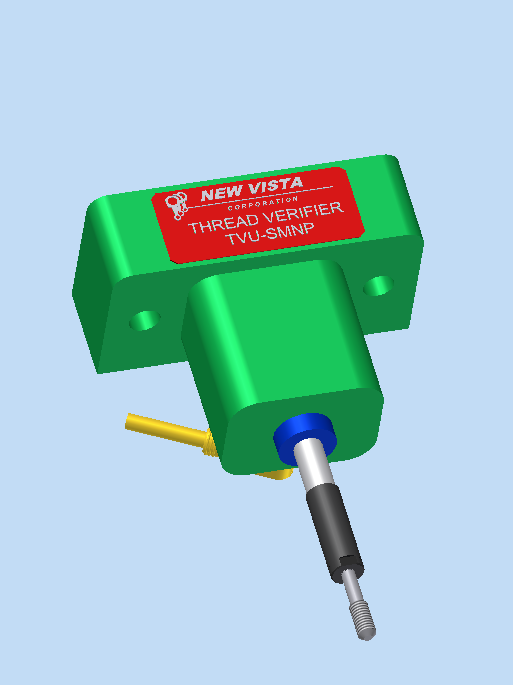 Quickly verifies threaded holes (or external threads) by automatically running a thread gage tool into or (onto) the part. The tool will follow the existing thread. 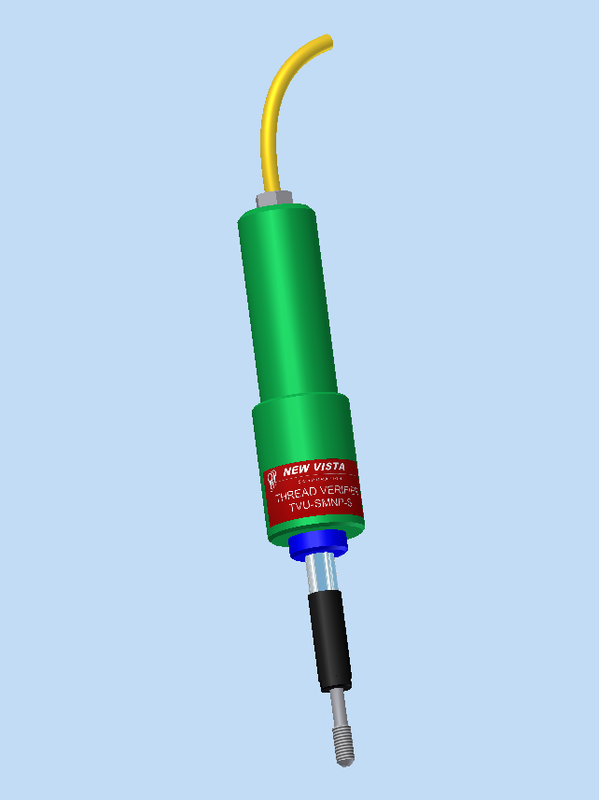 The TVU-SMNP features a spindle with torque control and axial control, allowing the tool to spin with the part (or retract) in cases where the mouth of the thread is severely distorted. This feature prevents double (out-of-phase) re-threading. Will verify blind holes accurately to thread depth. “Locks up” when spindle is reversed, so that the thread gage tool will not stick in (or on) the thread when wrong-size (or short) threads are encountered. 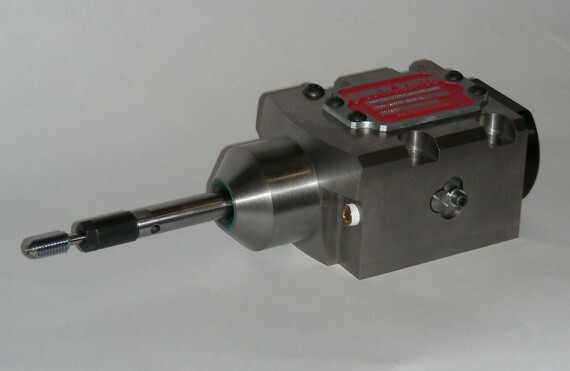 Does not subject the part (or the spindle) to high force or torque levels. 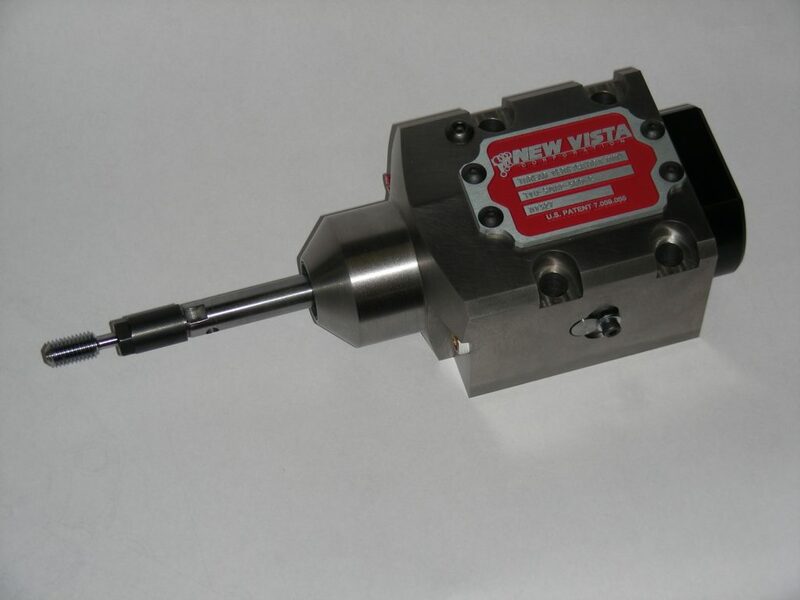 TVU-SMNP-500-C used in a CNC turning center. This sealed Thread-Verifying Unit mounts on the machine tool’s turret. Air sensing is employed in this TVU so that no electrics need to be run to the turret. 1 Cycle times shown are for situations where the thread length equals the thread diameter. Shorter or longer threads can result in shorter or longer cycles.